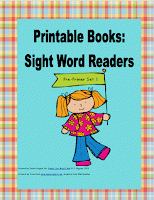 Beginning readers benefit from learning to read within continuous text. 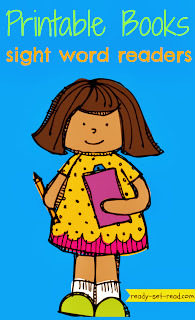 This means, children will make quick gains in reading when they are allowed to learn to read by reading real books. Children who learn to read words in isolation, through flash cards or skill worksheets are less able to transfer that knowledge to reading books. Kids also need opportunities to read on the correct reading level. If a text is too easy, it doesn't push the child to the next level of reading. If a text is too hard, the child will quickly become frustrated. It can be difficult to find trade books for the emergent reader. Many parents think Dr. Seuss books are good for early readers, but those books are generally on a nearly second grade level! In the beginning stages of reading, students need very simple texts that are repetitive. I've been creating little books for my young readers that help the kids practice the sight words they know. 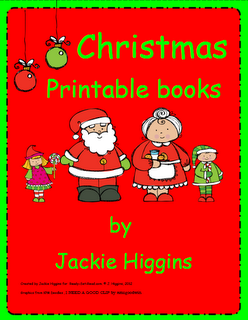 You can find my printable books for emergent readers by following the links to my priced products in my Teachers pay Teachers store. 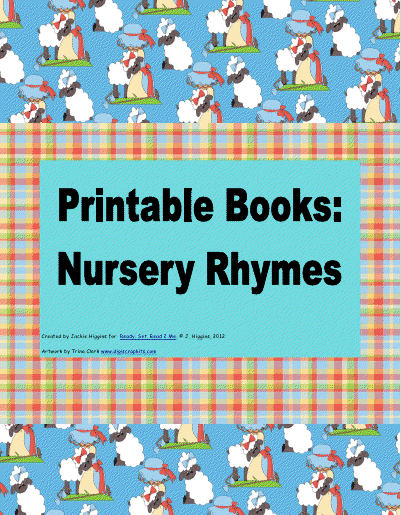 These printable books contain 5 favorite nursery rhymes. 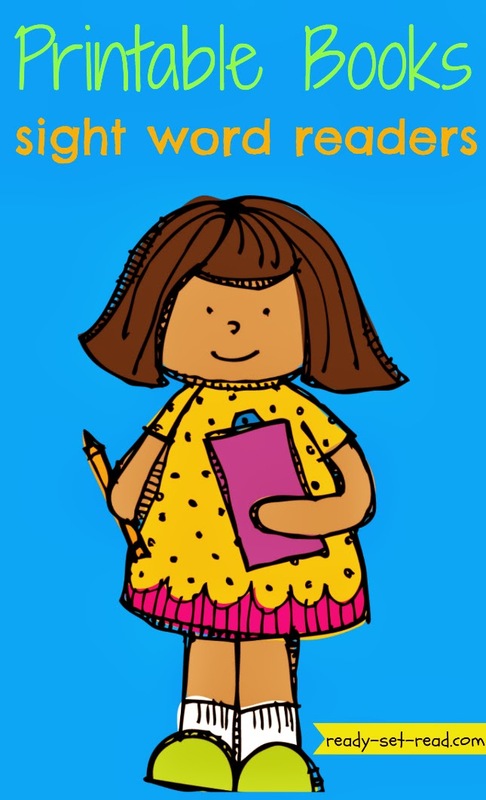 The rhymes are clearly illustrated and minimal text is provided on each page in order to support emerging readers. 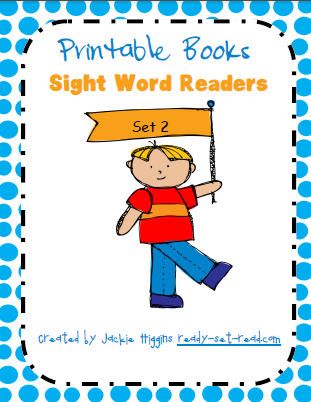 These printable books contain 6 little books using words from the preprimer Dolch sight word list. The titles included are: At the Zoo, I can, In the Barn, We go Shopping, Fall Leaves, and Beach Colors. The preprimer Dolch sight words that are used are: see, can, the, is, where, we, go, in. There is a teacher's guide included in the file. 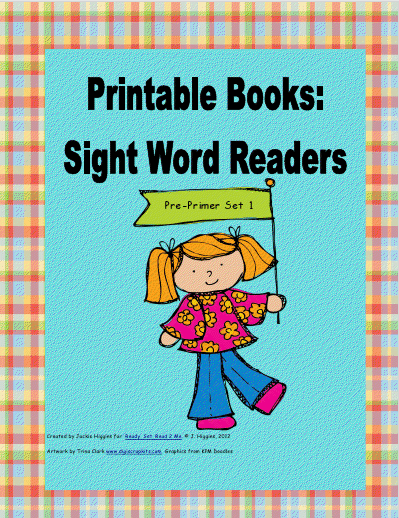 These printable books contain 6 little books using words from the preprimer Dolch sight word list. Each book is a half sheet of paper. The titles included are: Community Helpers, In Space, The Silly Monkey, My Pets, Animals, and What's at the Beach? 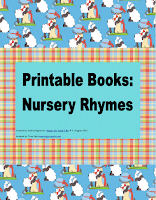 Many of the themes of the books will correspond with themes covered in prekindergarten, kindergarten, or other early learning settings. The preprimer Dolch sight words that are used are: here, is, look, can, see, I, up, down, this, my, big, little, find, blue, yellow, three. These printable books contain 4 sight word stories around a Christmas Theme. Each book is a half sheet of paper and prints in black and white. They can be cut apart, colored, and stapled into little books. These books would probably be best for readers ranging from level A-C. 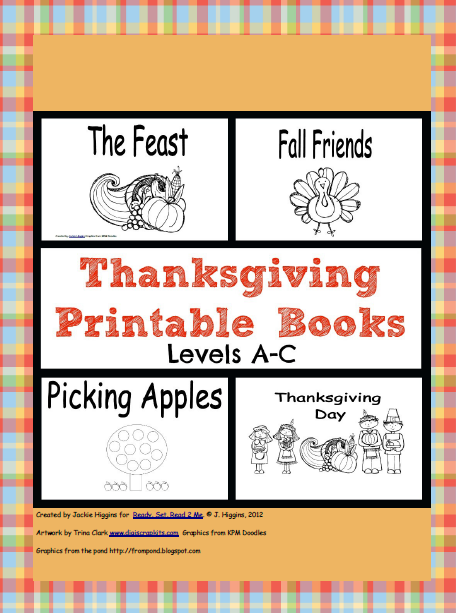 These printable books contain 4 stories following a Thanksgiving or fall theme. Each book is a half sheet of paper and prints in black and white. These books would probably be best for readers ranging from level A-C.